I’m launching a new product. When should I talk to a packaging machine company? You should talk to packaging specialists as soon as you begin the product design process. 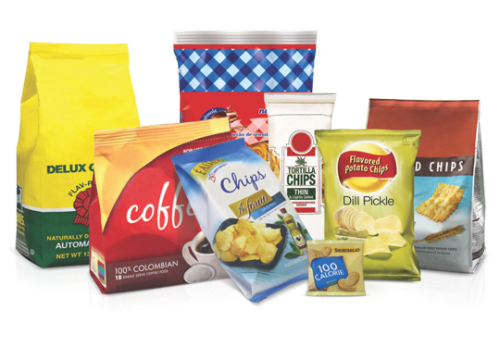 Packaging equipment and solutions are an integral part of new product creation. Choosing your product’s packaging design is vital, and should not be limited to the consideration of looks alone. The packaging design process must be carried out parallel to the design of the product itself. With hand packaging, virtually any type of packaging is possible. The decision to use packaging machinery will have numerous benefits for your production, but requires that products are a certain size and shape in order to fit each package type. You must take into consideration how the package will perform on the production line. How the bag is going to be created, filled, and how both of these more technical functionalities will be married together are all additional factors to consider. You must also think about how the package will be handled on the machine. What should I choose first: the format of the product or the type of package? This is a decision that needs to be made in tandem with several others. One small change in product format can have a big impact on which machines are needed. Unfortunately, in many companies, departments do not work together on new product launch projects. For example, sometimes people in the arts or creative departments create a package that is very appealing from a marketing perspective, but when it comes time for production, the package is unrealistic. The design is too complex, making the ROI no longer justifiable. An unrealistic package design can end up destroying an entire project. These are growing pains encountered by companies that keep their packaging design process as an afterthought instead of something considered during the product design phase. That is why it is crucial to consult a packaging expert to discuss the specific needs of your product and its package. What else should I think about when trying to create a new product? Though we have been talking mostly about the impact of product and package design on the packaging process, you should not forget about the production process. The same type of reasoning applies; you need to work together with your production team and your production equipment suppliers to ensure that the new product can be produced to your specifications at an adequate cost and speed. In summary, every company that plans on creating and launching a new product should involve several different players in the packaging design process from the very beginning: internal process engineers, production equipment manufacturers and specialists, packaging equipment manufacturers and specialists, marketing and sales teams and cost and finance teams.